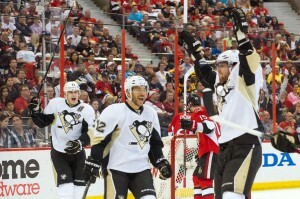 When the Pens are Confident, Can they be Beat? In 2013, the Pittsburgh Penguins struggled in the first round against a young and confident 8 seed. After four games, they were tied at two games a piece. Those first four games set the stage for what would eventually be the last four games of the 2013 Playoffs for the Pens. And if the Pens can’t figure out how to change the tide this year, grab a broom in May and expect the same result. Why? Because a team must be confident and if they aren’t, they have no chance of survival. The regular season doesn’t mean anything now. Everything that has been accomplished in the last 82 games is a non-factor aside from one extra home game vs. one extra away game. The playoffs aren’t like the regular season; a team has to beat the same team four times to move on; no team can’t have a bad week. Confidence is everything in the Playoffs. 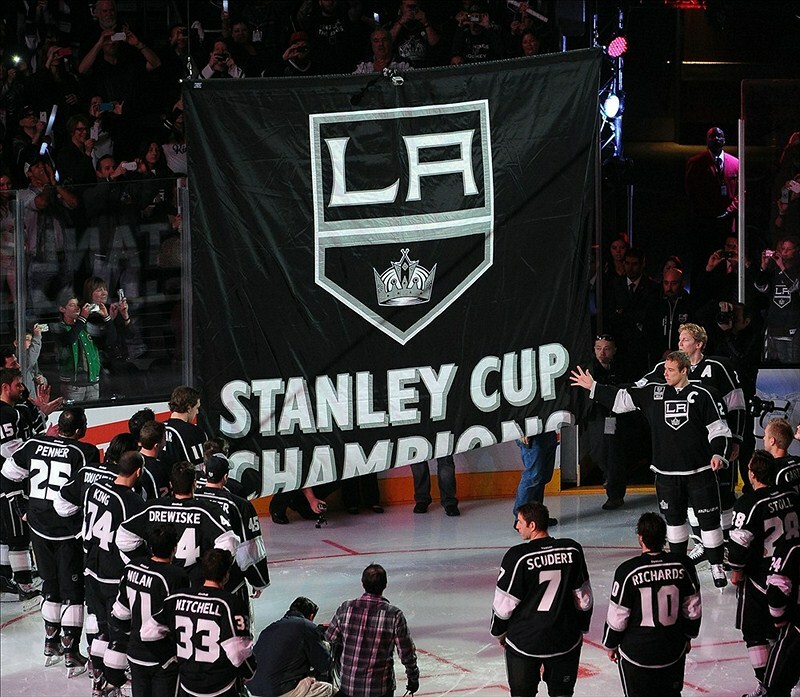 Take the 2012 LA Kings for example; an 8 seed that made history and absolutely dominated the every series they played in. They weren’t the most talented team in the NHL that year, they hardily made it into the postseason. But as a team, they bought into the system and played TEAM hockey all the way to their first Stanley Cup in franchise history. A confident team is capable of anything. But when a one seed (the 2013 Penguins) struggles in the first round vs. an eight seed (the NY Islanders), doubt creeps in and it’s very hard to be confident. Unlike the regular season, there is no time to “get back on track” in the playoffs. Time is not on your side and anything that affects a team’s confidence negatively can be detrimental to a team, and their Stanley Cup hopes. After a shaky start, the 2013 Pens did find manage to string together a few wins and found themselves in the Eastern conference finals. But the negativity and doubt that the Islanders created was still present and when the Boston Bruins came into Pittsburgh and outscored the Pens 9-1 in the first two games, the Penguins were all but done. As professional athletes should, the Pens fought back, but when you don’t believe you can win, you won’t. Never underestimate the power that MINDSET and MENTALITY have in professional sports, especially hockey. Hockey is special and the Stanley Cup is the hardest trophy to hoist as a champion. There must be NO DOUBT in a team’s mind that they aren’t the best. And the best way to create the mindset is to start quick. The LA Kings won their first round match-up 4-1 in 2012, swept the St. Louis Blues in the second round, and beat the Phoenix Coyotes 4-1 in the Western Conference finals. 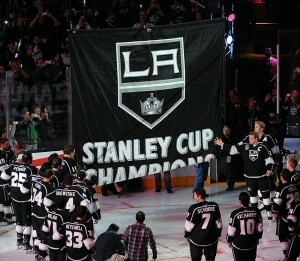 12-2 in the playoffs is unheard of and it set the Kings up for a historical finish to their season. Last season, Chicago won their first round match-up 4-1. The point I’m making; the best way to acquire the confidence needed for a Stanley Cup run is to start quick. Everything is shaping up for the Pens. They have a huge advantage vs the Columbus Blue Jackets in play-off experience, Sidney Crosby won the Art Ross Trophy and will likely win the Hart Trophy and the defense is healthy… But the greatest asset for the Pens is the Russian center, Evgeni Malkin. Malkin is the best forward in the game when he’s confident and his teammates feed off of the energy he creates. James Neal’s game elevates to a new level when Malkin is healthy and the Pens top 6 become nearly unstoppable. But if Malkin isn’t confident and playing well, his presence on the ice becomes a liability for Pittsburgh. Malkin has a bad tendency to take bad penalties and force offense; things that don’t happen when he’s playing confident hockey. Last season during the Boston series, Malkin took 4 penalties and was a -5 for the series. He didn’t’ score a point. Malkin had a very good season that was cut short due to injury… If he can stay healthy, and confident, this could turn into a special year for Pens fans. But, no confidence means another year of heartache and a lot of changes for the Pittsburgh Penguins. Be sure to join in on the conversation on Twitter using the hashtag #THW.